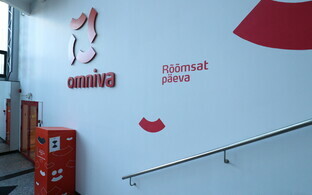 Eesti Post, also known as Omniva, the postal and logistics company based in Tallinn and serving all three Baltic States, is weighing up reducing the frequency of newspaper and magazine delivery. 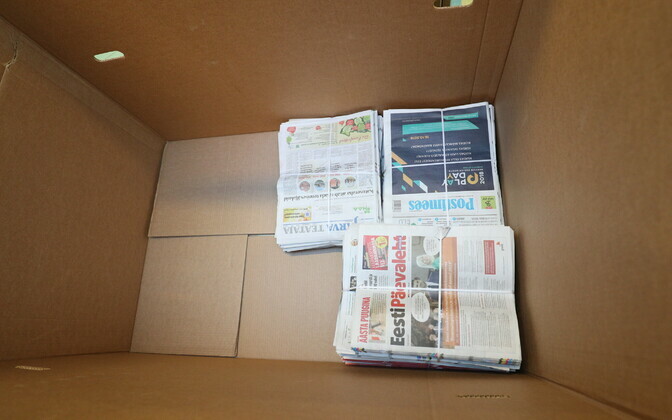 Newspaper and magazine home delivery, currently done six days per week, brought Eesti Post a loss of €1.3 million last year, according to its head Ansi Arumee, primarily due to reduced demand for print media concurrent with rising labour costs. Mr Arumee has proposed reducing delivery frequency to five days per week to the Riigikogu's rural affairs committee, bringing delivery in line with frequency of letter and promotional material delivery. "However, the question remains, how to provide print media which is published six days per week as against other services which do not need the same frequency of delivery,'' he continued. The issue particularly affects rural areas where access to all print media in shops is more limited, and where various local newspapers provide news and other content as much or more than the national papers. Whilst Eesti Post/Omniva received a state grant for 2019, the issue needs a longer term perspective as well, Mr Arumee said. Needless to say newspaper publishers are less enthusiastic about losing one day of delivery, most likely Saturday, for which media companies allocate specific resources for newspapers and magazines. ''If we compare the current situation with a couple of decades ago, the media around has expanded immeasurably, and people simply need sufficient time to engage in the media - and this time tends to be over the weekend," said Andes Kull, head of Eesti Media Group, which owns daily Postimees and several local newspapers. Argo Virkebau, head of Ekspress Meedia, which publishes daily Eesti Päevaleht as well as weeklies Eesti Ekspress and Maaleht, added that it would be complex for the company to prepare special weekend newspapers for delivery on the Friday. ''These pages would need to be produced at a different time [from their delivery], with journalists working on different schedules. The paper would not be as fresh and up-to-date, not to mention issues with getting printers able to produce to the new schedule,'' he said. For his part Mr Arumee stressed that the focus need not be purely on Saturdays. For instance, loval paper Saarte Hääl is published on Saturdays, but not on Mondays, he said. Whilst newspaper publishers would no doubt like to have periodicals delivered six days per week, the proposed changes should not lead to their costs rising, he added. ''We have calculated that the change might cause a rise in prices, which is why we need to consider how to facilitate it via other financial means,'' he said. This would also be tied in with regional politics, and the state as a whole; if services necessarily become more expensive but noone wants to pay then this is a matter for state review, Mr Arumee argued. Argo Virkebau of the Ekspress Meedia Group offered another possible solution, namely that print media is also delivered by the two media giants' joing Express Post service, which he says carries a lower unit cost and may be able to expand. ''Certainly it is possible to increase efficiency – maybe try to link these providers to other services such as couriers, and obtain synergies that way,'' Mr Virkebau went on. However, the Eesti Post head said that whilst efficiencies can always be created, Express Post is subject to the same pressures as Eesti Post/Omniva is. ''A large workforce is needed in the delivery of newspapers, which is difficult to find in Estonia at present. I don't think Express Post will be able to do this more efficiently,'' said Mr Arumee. The Estonian commercial print and online media landscape is dominated by two companies. Eesti Meedia, which in turn is owned by Scandinavian media group Schibsted, produces Postimees and various regional papers (including regional editions of Postimees). Ekspress Group publishes EPL and weeklies Maaleht and Eesti Ekspress. Additionally, daily Õhtuleht is a joint effort owned by both groups.